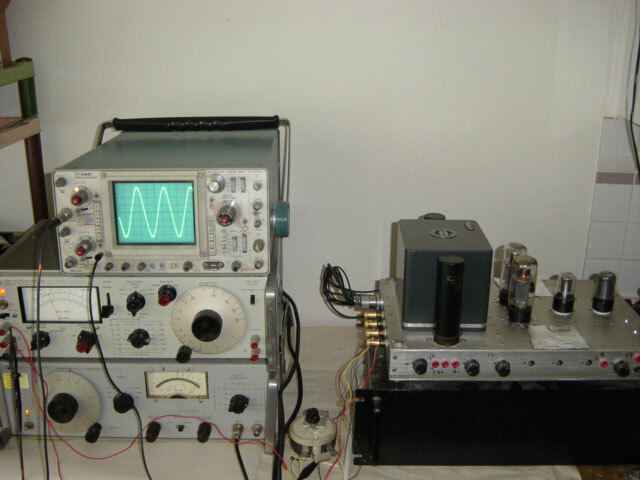 From mid 80’s I went back to tube amplifiers and tried to build a 30W 6L6 push-pull mono block pair with 6SN7 drive tube. 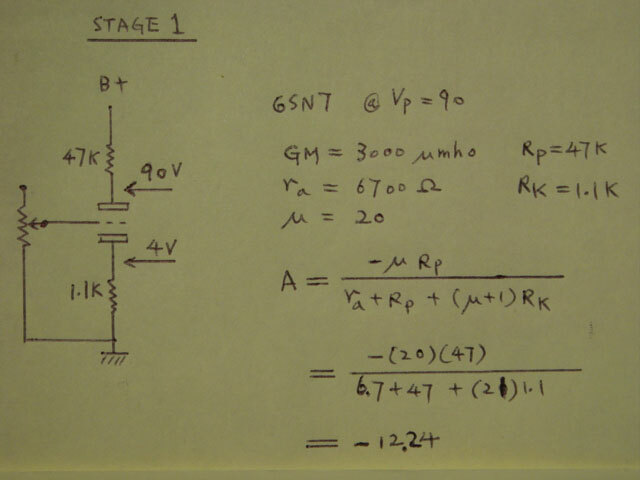 Stage 1 voltage amplifier calculation, plate output. Grid input load of next stage neglectable. 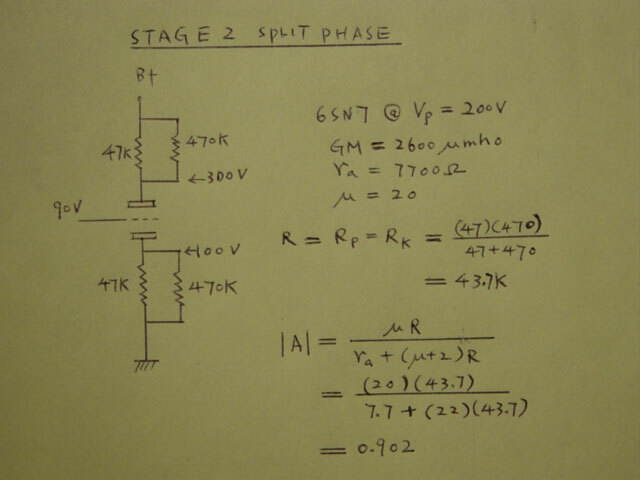 Stage 2 phase spliter calculation, plate and cathode output. Grid input resistor load of next stage parallel to plate and cathode resistor. 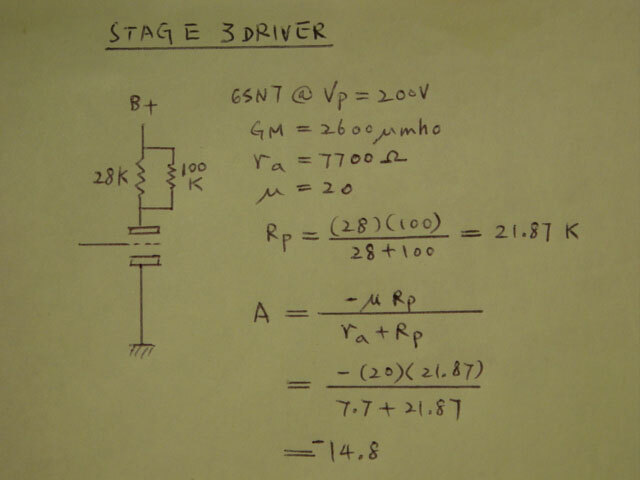 Stage 3 driver stage calculation, plate output. Grid input resistor load of next stage parallel to plate resistor. 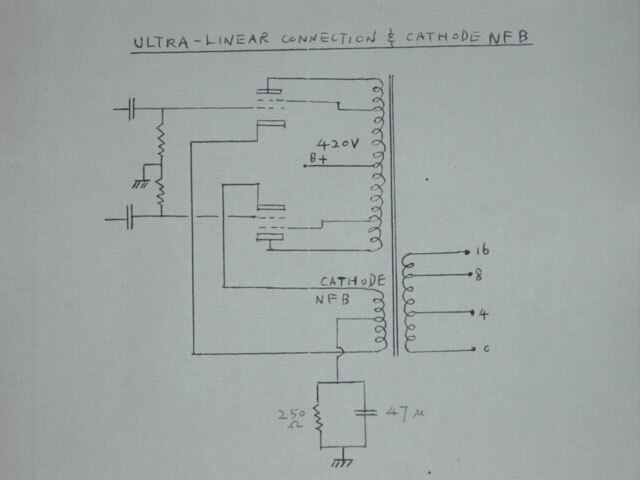 Cathode resistor neglected due to differential amplifier operation. Grid input 42V p-p for 28.8 Watt push pull output power. 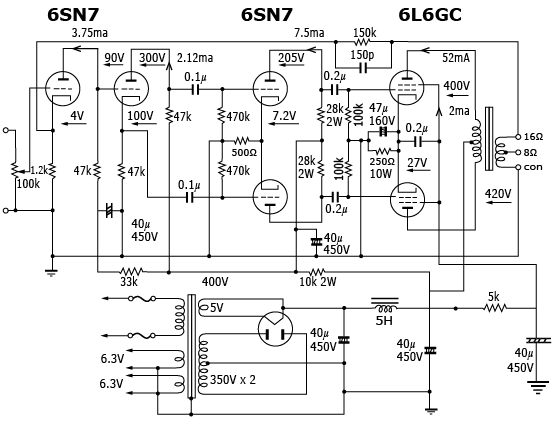 That means 0.257 Vpp input can deive out 28.8W output 6 db NFB arranged, 0.514 Vpp can drive same output. See 2.5K load line below. 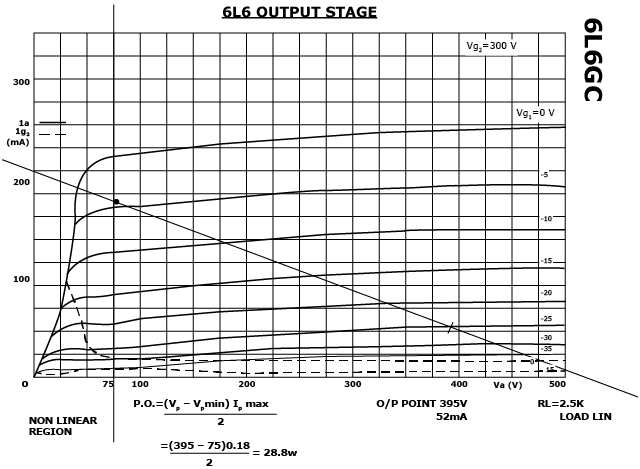 Where 0 db=28W power output. The final sound quality is now much better and can easily drive different type of speakers.